This has been thirty years coming. 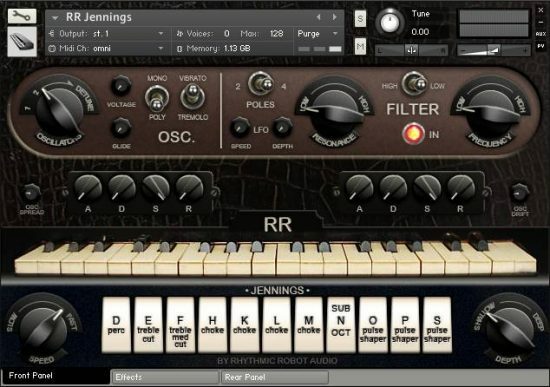 Back in the mid-80s, the sampling keyboard that took the synth world by storm was the Emulator II. 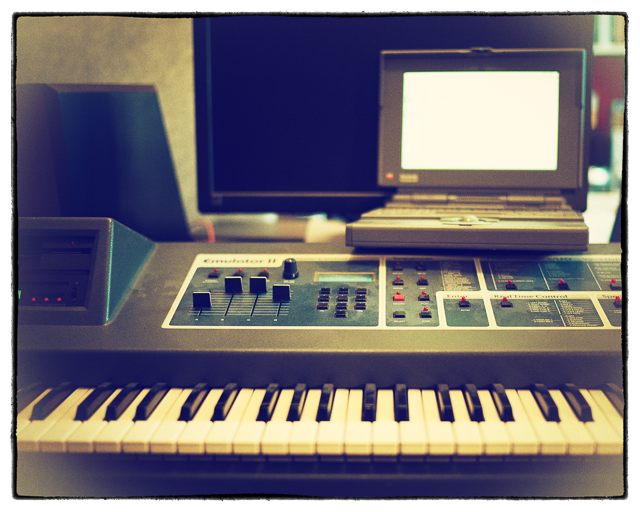 Far more pervasive in its influence than the Synclavier or the Fairlight, the Emulator II brought 8-bit sampling to a price point that took it into studios and onto hit records at a rate that helped to define the sound of a generation. There were several secrets to the EII’s success, and central to these was the sound. 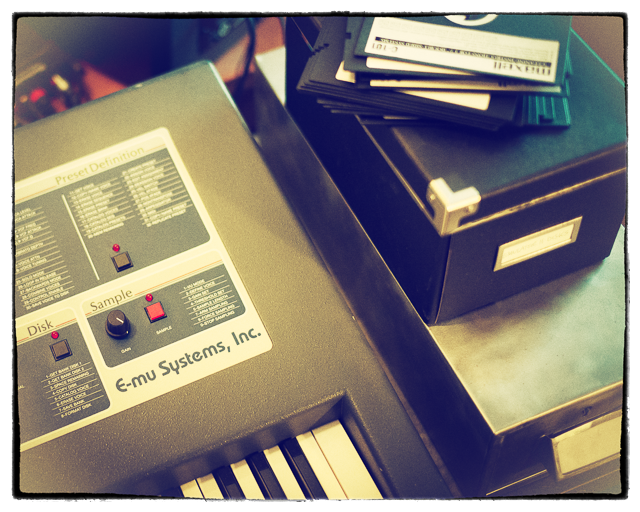 At a time when sample memory was worth its weight in platinum, the EII managed a clever collaboration of 8-bit sample depth (keeping the memory footprint manageable) and very advanced, musical-sounding convertors which companded those 8 bits of data into the equivalent of a 12-bit output. This nifty bit of digital trickery made the EII more responsive and better-sounding than should have been possible given the limitations of the bit depth. Moreover, that combo of 8-bit grain and companding output lent the sound a heft and authority that punched sounds right into the thick of a mix. Although the aim was to emulate ‘real’ instruments – often acoustic ones – the EII’s forté was larger-than-life sounds that sounded simultaneously convincing and massive. Part of the explanation for this is the fact that the established workflow of the time was to record sounds to tape first, and then into the EII, in order to allow for precise level-setting. This two-stage process stamped the soundset with both analogue punch from the tape saturation and digital weight from the sampling conversion. It’s pretty magical, and that alchemy got a further mojo injection when the EII’s pure analogue filters came into play. This instrument was a real beast. If the level of detail we’ve aimed for here borders firmly on the obsessive-compulsive end of the spectrum, it’s because our ambition with the Universe of Sounds library was simple: to produce Kontakt patches that sound and play exactly the same as the original EII patches. That meant a marathon of multisampling, covering every single semitone of every single patch, often at multiple velocity layers to preserve the exact behaviour of the EII’s glorious analogue filters. It also meant carefully gain-staging the EII’s output and looping the sustained patches so as to preserve their original loop points. Some of these are totally transparent, but others can be pretty audible – adding strange little crackles and twitches to the sound and paying testament to the fact that pushing the boundaries of sampling in the 80s sometimes meant trying to loop the unloopable. We’ve done nothing to disguise this; all the EII’s patches play exactly as they would on the original hardware. What you hear is the sound of the 80s, pure and simple. But of course we’ve gone a little further, too. The Emulator II had an approachable and intuitive front panel which used a healthy scattering of buttons and a bank of ‘soft’ assignable sliders to control a two-line LCD interface. Our Kontakt interface adds some useful further control: a secondary Filter array; Amp controls with tremolo; a convolved Lexicon reverb straight from the mid-80s to complement the EII’s signature sound (the Plates are great for thickening, while the Rooms and Halls let the sound swell and breathe); Chorus, Phaser, Echo and Rotary Speaker effects; specific control over Velocity response for both amplitude and filter cutoff; a stereo Spread knob; and a neat SSA (Skip Sample Attack) button that lops the start off sustained samples, turning them effectively into synth waves for you to use in creating your own patches. But why stop there? We’ve also included some Kontakt Multis that layer and stack EII patches, go to town with the effects, and generally show off what you can do when you forget about vintage authenticity and just run riot with the Universe of Sounds library’s treasure-trove of material. The Multis folder is packed with subsonic basses, echoing synths, strange soundscapes and otherworldly presences… and there’s nothing to stop you rolling more of your own in a similar vein. This is the sound of the EII with turbo-boost rockets strapped to its disk drives! Reproducing OMI’s Universe of Sounds for a new generation has been a labour of love that has involved late, late nights, months of sampling and editing, a lovingly-reconditioned EII, a preposterous number of 5.25″ floppy disks, and a ridiculous amount of grinning as we auditioned the patches and got caught up in how good they sound. For anyone who lusted after an Emulator II but couldn’t afford one; for anyone who’s heard talk of this groundbreaking machine but not heard one in action; for anyone who’s watched Ferris Bueller’s Day Off and found their gaze drawn not by the Ferrari (or Ferris’s girlfriend) but by the EII in his bedroom… this one’s for you. Enjoy. This is a big, big set of instruments. As such, we’ve partitioned the download into 10 1Gb files, so when you receive your download link email, it will include links to ten separate .zip files. If your internet connection is on the slow side, you’ll get better performance if you download these one at a time rather than setting them all going at once. 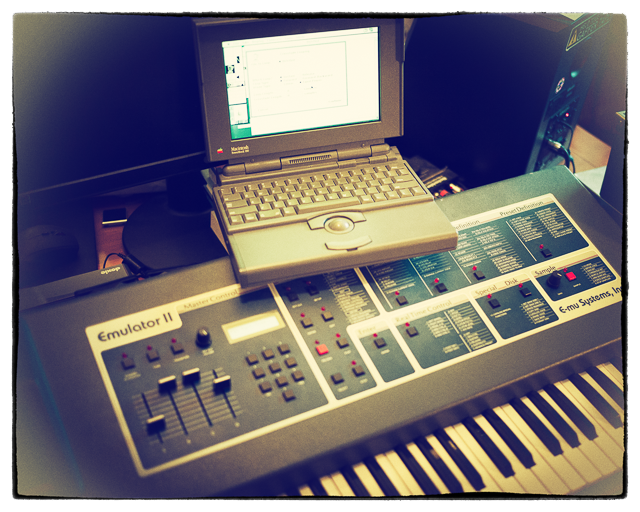 I’m old enough to remember when the Emulator II was new, as I worked at Fairlight at the time and I had friends that were making sound libraries for the E-Mu. I’ve been looking for a software emulation of that machine for years, but have been disappointed by what’s on offer. The beauty about this library is that it uses the industry standard Kontakt sampler to do all the heavy lifting. Of course, the collection goes way beyond the factory library, which is another great bonus. 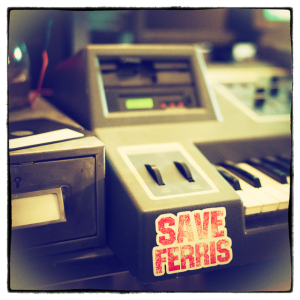 If you want to add that 80s flavour to your productions, this is the answer. The EII has the most distinctive sounds of the 80s, and also has the magical power to catch the essence of an instrument and make its sound fit perfectly in the mix. The most of the current libraries, with samples in 24 bit and tones of articulations, can’t do this magic! Here every single note has been sampled and the result is fantastic! I bought both vol 1 and 2. I love having all those 70s and 80s soundbanks, they blend in perfectly with modern productions. Sometimes you have these plugins that you just have to have. If you are into 80s sounds this library will definitely add the signature sound of that era to your songs… Wide range of sounds from soft to percussive, from fat and warm to cold (in a good way). Also good for ambient stuff! 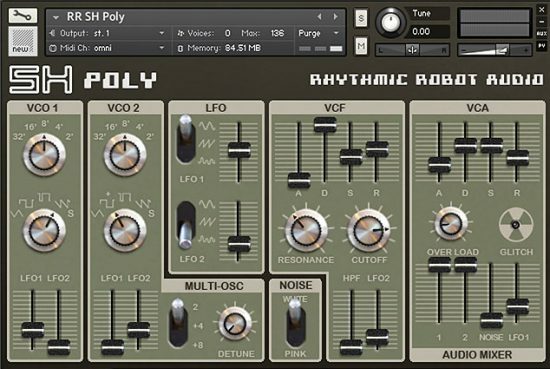 This is great addition to analog synths (or analog synth emulations) for a wide palette of sounds. ……heaven on earth. i’ve messed with a lot of emu family vsts and sound libraries…. unlike those who simply cash in and slap something together….. these guys CARE. …justice has been served. you kids these days have it SOOOOOO easy, haha. I can’t believe how choice this is. By far my favorite library purchase of the year. The quality of these samples is just amazing!! For years I have been searching for high-quality Emulator II samples. Here they are! The Prof has provided excellent customer support after my purchase. This product has exceeded my expectations. 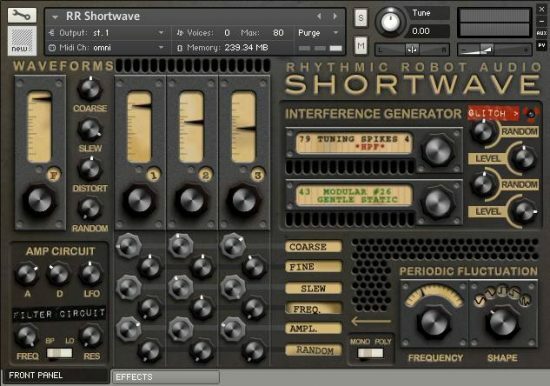 Rhythmic Robot have done a fantastic job in sampling this sound library in forensic detail. I’m only just finding my away around the library – it will keep me occupied for a long time to come! Given the amount of effort involved, the pricing is very reasonable. It will serve you well whether you want to re-create the spirit of the ’80s or find a place for these sounds in the most up-to-date electronic productions. if you have one library to buy this year, it’s EII !! far from coloring anything vintage (though it’s perfect at it) it’s very versatile and it can fit in any style. I always wanted an Emulator. Now I have one! I spent two days (on and off) just playing around with these sounds. I was reminded of the days when music videos were just a minor thing compared to FM radio. Bliss out in the 80’s! 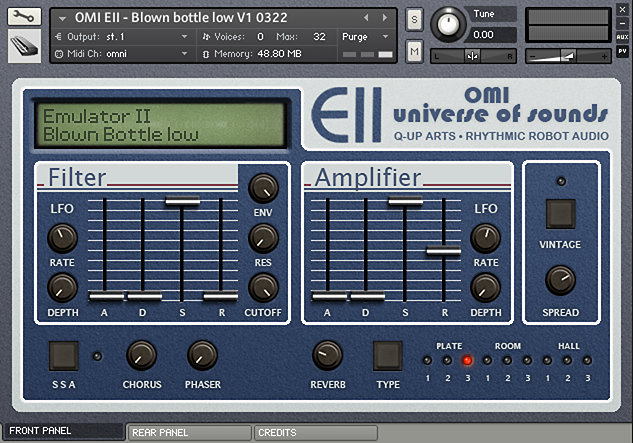 I haven’t tried any other EII-samples or plugins, but this one sure is great. At this price it’s even essential! Not having used an actualy EII, I thought it would be an expensive toy with a characteristic (cheesy) sound, but it can be so much more than that! 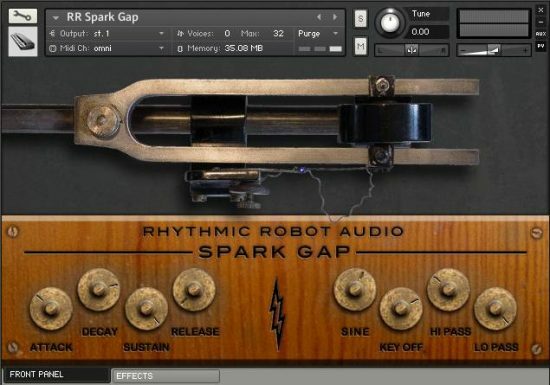 Yet another fun, but very useable instrument by Rhythmic Robot. So, I thought I had a couple of songs that I was putting the finishing touches out, but Nooooo, The Prof and Mongo decided they had to release EII. So I had me a listen to the demo’s, and I found my self uttering “ooh’ about every 13 seconds or so. It wasn’t like an ‘Ooh Cookies’ kind of ooh, it was an ‘Ooh truckload of Murphy’s Stout’ kind of ooh. So I did a purchase, and I have been thoroughly enjoying the pure electroretro goodness packed into this excellent instrument. It’s been like floating through the bliss of heaven on a cloud. Sometimes, a cloud passes by that has a rich, melodic patch that is just beautiful, and other times a cloud passes by that has a patch a Sam Kinison scream kind of brutality. I am particularly fond of those. So, thanks to the RR twins, my almost complete songs have been deconstructed and are slowly being reconstructed. But, it is worth it. At the asking price, it’s the bargain of the century. I almost felt like I needed to put a pair of pantyhose on my head because it is such a steal.